Provost Vasquez has served a number of professional and accrediting organizations as an officer and/or board member and has presented results of the program review and prioritization effort she spearheaded at Hartford in major national venues such as ACE and Academic Impressions. She remains in high demand as an accreditation specialist in national and international arenas, as a consultant for comprehensive program review and a leader in arts program development and innovation. As a strong advocate and spokesperson for the non-profit sector, Provost Vasquez has served on numerous boards, state arts councils, peer review panels and K-12 task forces across the country. Provost Vasquez currently provides independent consulting services and peer coaching to higher education leaders in career mapping, strategic leadership, team building and succession planning. She recently returned to Austin, TX where her twenty years as an endowed professor and department chair at the University of Texas helped launch her later career in academic leadership and administration. In addition to his service as Provost, Dr. Benson served as Vice Provost for Science, Technology, Engineering and Mathematics and Health and Human Services, Dean of the College of Integrated Science and Technology, and Dean of the College of Education and Psychology during his 37 year tenure at James Madison University. He received his Ph.D. and Masters from George Peabody College for Teachers in the APA approved scientist-practioner Transactional-Ecological Psychology program, and his B.S. in Psychology from Concord College. Areas of Expertise: Building/fostering collaboration across academic units, university wide units and external partners; data-informed decision making and inter/trans-disciplinary program development. 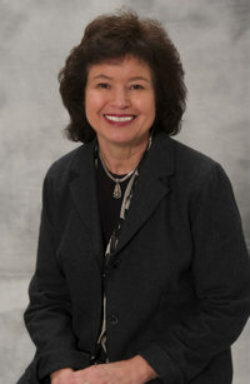 Dr. Gayle Davis was Grand Valley State University's Provost and Executive Vice President for Academic and Student Affairs from 2002 until her retirement in 2017. She successfully aligned and re-created academic operations, programs and budgets as the University’s grew in size, complexity, and reputation. She served for a transitional period as acting President of the university. Included among her professional recognitions were awards for promoting inclusion and equity, academic and community leadership, mentoring potential leaders, student success efforts, and others. Dr. Davis was recognized with the Distinguished Woman in Higher Education Leadership Award by the American Council on Education Michigan Network for Women in Higher Education. She chaired the Academic Officers of the Michigan Association of State Universities and remains an affiliated faculty member of the HERS national leadership institute for women in higher education. She still mentors Cook Academy of Leadership Fellows at Grand Valley, serves on the advisory council of the Design Thinking Academy she established at the University, and is an occasional speaker on various aspects of leadership for the MI-ACE Women’s Network. She was awarded an honorary doctorate by Grand Valley at the time of her retirement. Dr. Davis earned her BA in French at Muskingum College in Ohio and her M.A.in art history and Ph.D. in American Studies from Michigan State University. While a graduate student, she was a Rubinstein Fellow at the Whitney Museum of American Art in New York. From 1982 to 1994, Dr. Davis was a faculty member and department chair in the Women’s Studies Department at Wichita State University. There she was awarded the state's Board of Regents Excellence in Teaching Award, among other recognition and grants. From 1994 to 2002, Dr. Davis was part of WSU’s central administration as an Associate Vice President for Academic Affairs and Research. Among her contributions in that role were the creation of the Center for Teaching and Research Excellence and its Academy for Effective Teaching. While in Kansas, she was appointed to numerous boards and commissions, including service as board member and President of both the Kansas State Historical Society and the Kansas Humanities Council. Dr. Janie Fouke is one of the nation’s foremost experts in the field of biomedical engineering. After completing her undergraduate education at St. Andrews Presbyterian College in Laurinburg, North Carolina, she earned her M.S. and Ph.D. degrees in biomedical mathematics and medical engineering at UNC in 1980 and 1982, respectively. 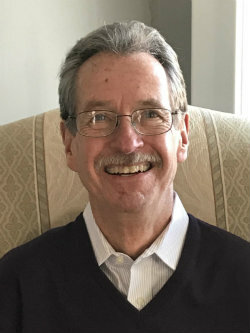 From 1981 to 1999, Dr. Fouke rose through the faculty ranks at Case Western Reserve University with teaching and research interests in medical instrument design and development. Her work has been critical to the understanding of the etiology of airway diseases such as asthma and the pulmonary effects of environmental pollutants. Subsequently, she served as Dean of the College of Engineering at Michigan State University, Provost and Senior Vice President for academic affairs at the University of Florida, and Dean of the College of Engineering at Nanyang Technological University in Singapore. She currently works as a consultant to Colorado School of Mines as they develop a partnership with an Asian university. Dr. Fouke has played major leadership roles in the Institute of Electrical and Electronics Engineers, the Engineering in Medicine and Biology Society and the American Society for Engineering Education. She was the inaugural division director of the division of bioengineering and environmental systems of the National Science Foundation. She has served on advisory boards for numerous universities and federal agencies. Dr. Fouke is a prolific scholar. Her book Engineering Tomorrow (2000) received the Dexter Prize, given annually by the Society for the History of Technology as the single best book published during the preceding three years. She is a Fellow of the American Association for the Advancement of Science, the American Institute for Medical and Biological Engineering, the Institute for Electrical and Electronics Engineers, the Biomedical Engineering Society and the American Society for Engineering Education. Her students have had diverse career experiences, for instance, developing medical technology at companies such as Medtronic, advising on medical product regulation at agencies such as the Food and Drug Administration, and contributing to the development of medical policy in various legislative offices. 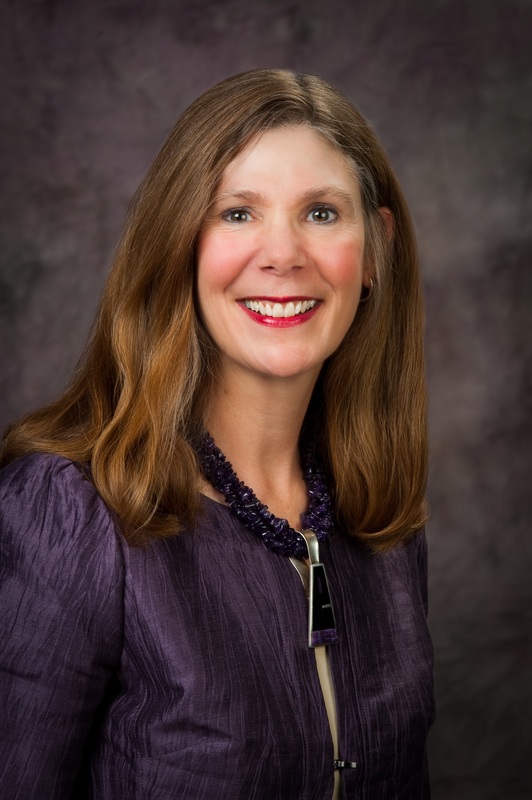 April Mason served as the Provost and Senior Vice President of Kansas State University from January, 2010 to June 2018. As the University's Chief Academic Officer, she oversaw the academic dimensions of the university and ensured the university's academic standards. In cooperation with the president and the Deans Council, Mason provided leadership in the development, review, and operationalization of policies and goals regarding instruction, research and outreach programs. While in this position, Mason served as the Chair of the Association of Public and Land Grant Universities Council on Academic Affairs and was a founding member and Chair of the Association of Chief Academic Officers, a group associated with the American Council of Education. Before joining Kansas State University, Mason held faculty and administrative positions at Colorado State University and Purdue University. April holds her doctorate degree in Nutrition and her master's degree in Botany from Purdue University, West Lafayette, IN and her undergraduate degree in Biology from University of Mount Union in Alliance, Ohio. 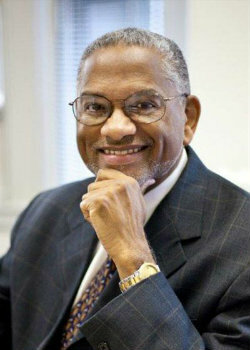 Dr. Karan Powell is president (retired) of American Public University System. Between 2002 and 2017, Dr. Powell led university initiatives to advance its strategic goals of academic excellence, managed growth and institutional effectiveness, with a core focus on expanding its reputation and recognition as a premier quality provider of and partner in student success. 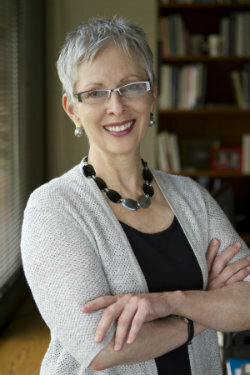 Prior to becoming APUS president in July 2016, Dr. Powell served APUS as provost 2011 - 2016, leading university academics to ensure academic quality and online teaching effectiveness, student success, regional and specialty accreditation, advocacy for the faculty, and the adoption and creation of innovative digital instructional strategies and technology. She also served as interim chancellor in 2004, dean of the School of Business, Management and Graduate Studies in 2005, and academic dean from 2006 to 2011, advancing the academics department in areas of curriculum, programs, faculty, and accreditation. Dr. Powell first joined the APUS Board of Trustees in 2002 while serving as chief learning officer for American Management Systems. Now, in retirement, she consults through her business, Powell & Associates, LLC, in areas of accreditation, digital learning leadership, executive and management development, and the transformation of higher education organizations and leaders. Dr. Powell holds a doctorate in education from George Mason University, with a specialization in organization development and organizational learning. She also holds a bachelor of science in business education from Western Illinois University and a master of divinity from Loyola University (Chicago), in addition to a certificate in advanced organization design from the University of Southern California. Dr. Powell also completed the HERS Institute: Advancing Women in Higher Education Administration, the Harvard Institute for Educational Management, and the University of California Berkeley Executive Leadership Academy. Selase Williams retired in the summer of 2017 from his most recent executive position as Provost and Vice President for Academic Affairs at Lesley University in Cambridge, Massachusetts, after six years of service at that private, non-profit, comprehensive university. In that role he played a major role in formulating and implementing the university’s strategic plan, developed policies and procedures for enhancing student academic advising, student outcome assessment, periodic program reviews, and expedited program reviews. Under his leadership, new undergraduate and graduate degree programs were created, including online and low-residency programs. A strong proponent of international education, he established the Center for Global Education with the goal to increase study abroad opportunities, improve the quality of life for international students and increase their numbers on campus, to integrate international content and perspectives into the curriculum, and to build institutional partnerships with universities overseas. In addition to signing a revenue-sharing agreement with The Learning House to market and recruitment for fully online programs, Williams launched the Community College Partnership Initiative to create seamless pathways for Bunker Hills Community College graduates to enter and complete Lesley bachelor’s degrees on the community college campus. Williams provided leadership to the campus on matters related to diversity, equity, inclusion, and social justice. Working closely with President Joe Moore, he shaped and developed the Urban Scholars Initiative (USI), a program which provides four-year financial, academic, and personal support for 20-25 low-income, first-generation, youth from urban high schools in the greater Boston/Cambridge area each year. A unique collaboration with 15 community-based organizations, USI enjoyed a retention and graduation rate of over 90 percent. Confronted by two dynamic forces, Black Lives Matter and growing White supremist activity, Provost Williams constituted the Task Force on Social Justice in Teaching and Learning comprised of students, faculty, staff, and administrators to develop strategies for combatting microaggressions in the classroom and for infusing social justice content, principles, and practices into the curriculum across the university. As a faculty member who made his way up the ranks from Assistant Professor, to Associate Professor, and full Professor, Williams held a variety of leadership positions that led to his senior executive appointments. Among the list of these positions were Director of Afro-American Studies at the University of Washington, Director of Minority Student Services at the University of Wisconsin-Parkside, and Chairman of the Pan African Studies Department at California State University-Northridge. From there, he became the inaugural Dean of the College of Arts and Sciences at California State University-Dominguez Hills, where he increased faculty diversity by 25%, before becoming the first Provost at Southern Connecticut State University, where he championed a first-year experience program that gained regional and national recognition for dramatically improving first year student retention. Williams has presented papers and published on Sierra Leone Krio, African American Language, African retentions in America, and the efficacy of using bilingual/bicultural approaches to teaching African American youth. He served two terms as President of the National Council for Black Studies and was a key player in organizing an international conference in Ghana, West Africa, in collaboration with the Organization of African Universities. 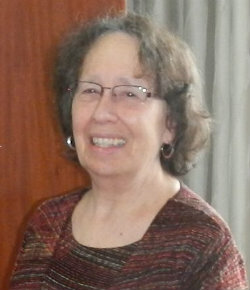 Margaret E. Winters is former Provost and Professor Emerita (French and Linguistics) at Wayne State University where she worked from 2002 – 2016. Prior to serving as Provost, administrative positions include Associate Provost for Academic Personnel, and founding Chair of the Department of Classical and Modern Languages, Literatures, and Cultures. Previously from 1977, she worked at Southern Illinois University Carbondale both in administration (Interim Provost, Associate Provost, and Chair) and as a member of the faculty. Her administrative experience as associate provost at both universities was primarily in academic personnel, including multiple aspects of faculty development as well as labor relations (negotiation and administration of academic union contracts). She served at both universities as Professor of French and Linguistics. Her research interests are in historical semantics and the history of the Romance languages. She has published journal articles and chapters in scholarly venues in North America and Europe; she has also published two critical editions of Old French narrative poems and co-edited two volumes of papers in Linguistics. She is a graduate of Leadership Detroit. In addition, she has participated in the ACE Michigan Women’s Network and is currently an emerita member of that Board, still active with its Professional Development Committee. A native of New York City, she attended Brooklyn College. She spent a year in France after receiving her B.A. and subsequently did graduate work at the University of California Riverside (M.A.) and the University of Pennsylvania (Ph.D.). Dr. Jean A. Wyld is the retired Provost and Vice President of Springfield College in Springfield, MA. She served in this position for 16 years supporting the growth and development of the bachelor’s, master’s and doctoral programs offered by the college’s five schools in Springfield and on the college’s regional campuses across the country. While at Springfield College Jean served as an elected member and then as the Chair of the Commission on Institutions of Higher Education of the New England Association of Schools and Colleges. She continues to serve the Commission by Chairing accreditation teams completing reviews of New England post-secondary institutions. 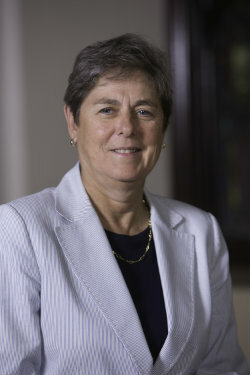 Prior to serving as Provost at Springfield College she served as CAO of York College of Pennsylvania, and in various faculty and administrative roles at Colby-Sawyer College in New Hampshire. She is a former ACE Fellow, having completed her fellowship at Boston College. Dr. Wyld earned her Ph.D. in biology at the University of Connecticut. Areas of Expertise: Faculty recruitment, orientation and evaluation; regional and program specific accreditation; strategic academic planning and program review; faculty governance.